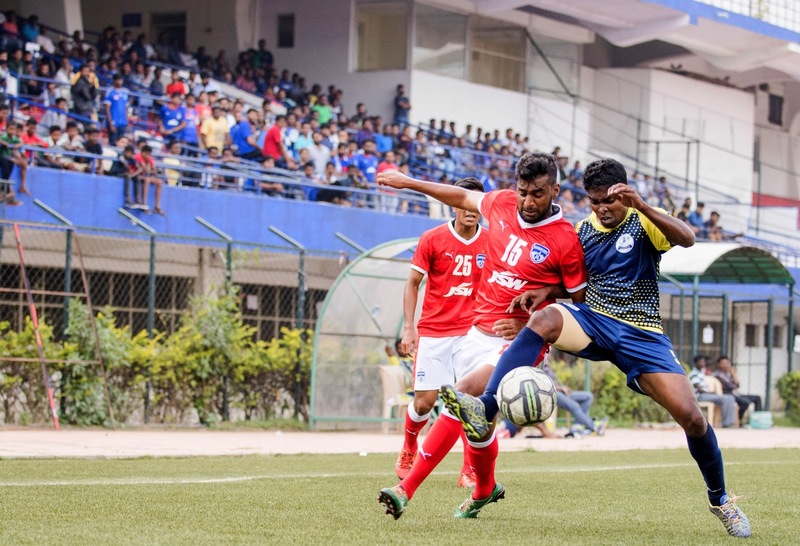 Four goals from second-half substitute CK Vineeth gave Bengaluru FC a mammoth 11-0 win over a hapless Income Tax side in a BDFA Super Division game at the Bangalore Football Stadium, on Sunday. With the I-League less than two weeks away, Ashley Westwood decided to give as many boys a look in, heavily tweaking the side that beat ASC 1-0 in the campaign opener. John Johnson and Kim Song-Yong were rested as were Udanta Singh, Nishu Kumar and Lalthuammawia Ralte. The Blues went into half-time with a 2-0 lead after Keegan Pereira opened the scoring with a peach of a finish in the 25th minute. Daniel Lalhlimpuia made it 2-0 from the spot after Income Tax ’keeper Nicolas brought down Len Doungel in the box. Bengaluru rung in all of their three changes at halftime with CK Vineeth, Alwyn George and NS Manju replacing Lalhlimpuia,Doungel and Curtis Osano. 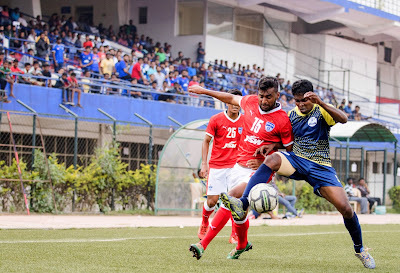 Vineeth’s thumping header in the 59th minute off a Beikhokhei Beingaichho cross made it 3-0 before Bengaluru smashed home three more - Vineeth, Manju and an own goal - in a space of four minutes, as Income Tax were clueless at what had hit them. Vineeth completed his hat-trick in the 75th minute when, after smartly exchanging a one-two with Beikho, he shot home with ease. Alwyn got into the act only five minutes later to ensure all substitutes were on the scoresheet when he picked up a rebound of his own shot at goal to put Bengaluru’s eighth goal away. Having clocked a brilliant shift down the right all game, Beikho got a reward of his own when he finished off a string of passes with a deft placement beyond Nicolas six minutes to time. But at 10-0, Bengaluru weren’t done yet, this time Siam Hanghal scoring in the 90th before the referee called a halt to IT’s misery with the full-time whistle. Bengaluru FC next take on MEG on Wednesday.